I would love to see him rely less on his tech devices for entertainment (his tablet and XBox in particular). When I read about what KidCash offered, I was curious. It sounded unique, and it sounded like something my kiddo might like. 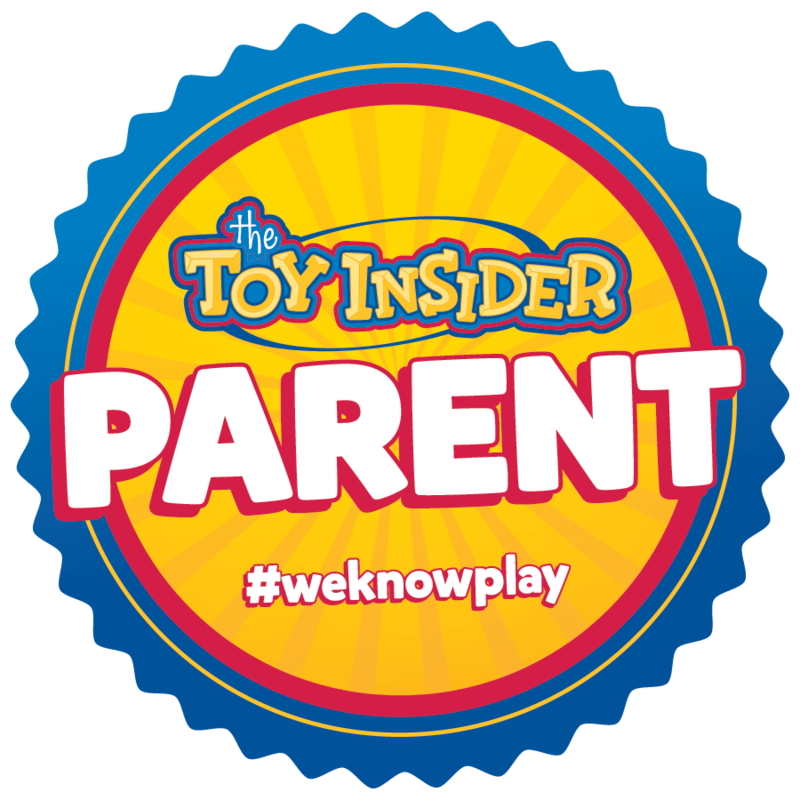 Well, for the best description of it, here's a quote right from the KidsCash website: "KidCash lets you give them a safe, real-world structure to practice the kind of decision making they will need as adults. Trade power struggles for trust as you teach your young ones about money..." In a nutshell, KidCash is like a little pretend banking system that your child takes part in. You can use it with kids as young as 2, and the KidCash guide offers ways to help you modify the program for little ones. If you want to see how others have used KidCash with young children, check out the post on The Stay at Home Life! What Does KidCash Give You? When you receive your KidCash kit, you'll open it and find stacks of colorful pretend money (like board game money), little 'bank books,' a bonus bounty pad and a violations pad. Of course there's also a little guide book to help you get started. The 'cash' includes KidCash savings cash (equaling monetary value), candy cash (equaling treat or candy value), gift cash (for use in buying someone else a gift), device cash (equaling device or tech time), and activity cash (equaling trip or special event time). The bonus bounties can be used to write rewards or extra KidCash amounts, and the violations are for those times when you need to take cash away. The bank book helps you keep track of everything. 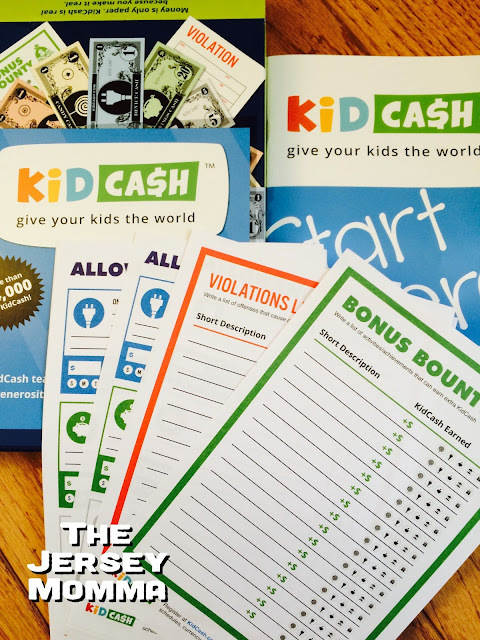 The KidCash kit also comes with charts you can use to fill in your daily allowances, bonus bounties and violations. There are great tools included to keep track of everything. The KidCash website offers helpful hints, articles, information, and even the ability to print out more cash, bounties and violations if you need them. There's a wealth of knowledge on their site, so if you need help or ideas once you've started, the site is a great resource. How Do You Use KidCash? 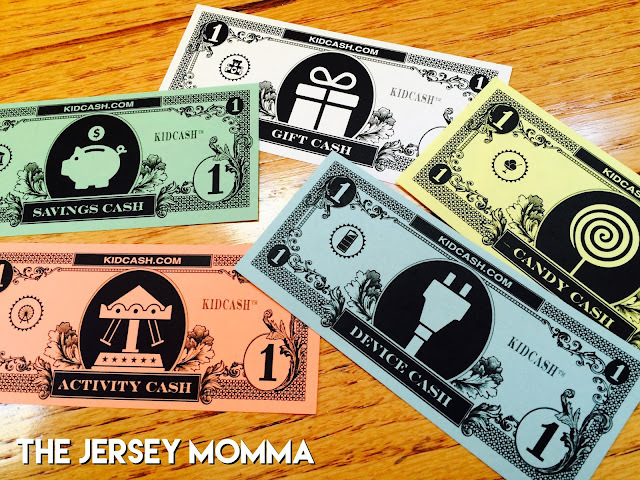 The Jersey Momma's Boy receives the following each day: 1 savings cash, 1 gift cash, 1 candy cash, and 4 device cash (each totals 30 minutes of game time- tablet or console game). Rules apply to the cash, such as he cannot use more than 4 device cash a day, and no more than one candy cash a day (and we specifically outlined what kinds of candies/treats he could pick from). His savings dollars have started to accumulate so we gave him two options: he could use them to work towards a new Lego Dimensions set ($15), or he could trade in 5 of them for a device dollar. He uses his gift cash for holidays and birthdays (he used them to buy me a Valentine gift with daddy!). Gift cash cannot be taken away for a violation. We are not using the event cash yet because it's winter here in New Jersey and there's seriously no place to go that's not a germ fest. 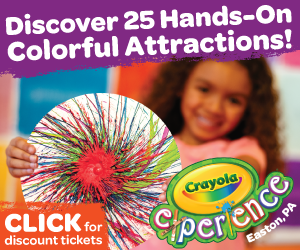 In the summer we'll incorporate the event dollars and plan trips to the beach, amusement parks, etc. Is KidCash Easy to Use? Each morning I give The Jersey Momma's Boy his daily KidCash and he puts it into his bank book. We started out keeping track of how much he was using and spending in the bank book, but it got to be a little confusing for him (he's only 7), so we are holding off on the recording part right now. Down the line we can have him keep track himself, or maybe when he is working towards a specific toy goal using the savings cash. You can also take it up a notch and have the cash earn interest! That's the whole point of the bank books. We haven't gotten to that point yet, but maybe down the line! How Has KidCash Helped with Device Time? The Jersey Momma's Boy used to sit and play with his Xbox or tablet without thinking much about how long he was playing. Now he hands me a KidCash device dollar when he wants to play and he literally says, 'ok, start the timer!' Something about this system really appeals to him. I think he feels more in control of his gaming time, and he likes using the money. I think it makes him feel grown up. When the timer goes off after 30 minutes, he has to decide if he is going to keep playing with another dollar, or shut the game off. He is not allowed to use more than 2 device dollars at a time. He uses reasoning skills to figure out a plan for himself, so to speak. We haven't had to use the violations pad yet, but I'm sure the moment will come! However, it's been a great threat. We've already said a few times, 'If you keep doing that, you're going to get a violation. Do you want to lose cash?' And it has totally worked! Oh! Another neat trick is that I even use the device cash as a gift sometimes. For Valentine's Day, I tucked a real dollar bill and a device cash bill inside his valentine card. He was so excited! The KidCash website also offers other ways to use KidCash and KidCash bonus bounties. Every family is different, but I can honestly tell you this is working for us. I told you I won my KidCash set, right? Well I loved it so much that I contacted Lisa, the creator of KidCash, and asked if she would be willing to give a set to one of my lucky readers (I wanted to share it with you, see?). She agreed! So at the end of this post, be sure to enter the KidCash giveaway and try it out for yourself. You can visit KidCash online at www.KidCash.com, or follow them on Facebook. KidCash is made in the U.S.A. (out of Brooklyn, no less!) and mom-created. I absolutely love that. Plus, Lisa is just an amazingly nice person. Now, let's get going with that contest! Scroll below! *Disclosure: there really isn't one! I won my KidCash kit and I totally loved it, so now KidCash is generous enough to give you one, too. Contest Directions: you get one free entry just by clicking the Rafflecopter link. You won't get any spam, your email goes to me (I need it to contact the winner, duh!). You can get extra entries by completing any of the other tasks on the list. That's all. The contest is open to U.S. residents only, sorry! Winner will be contacted by email at the end of the contest (7 days) and will need to provide a mailing address in order to receive their kit. This sounds interesting. For awhile I made tv vouchers and Graham got so many per day and he accepted it ettyetty well, but I somehow got away from it. Need to rest ablest better habits, especially now he likes to use video games. Nice post! I think Graham would love this system!! I used to set timers in the beginning and I also lost track of doing that or gave up on it. Now The Boy kind of keeps track of the timer, too, so it's great to see him having some responsibility towards his gaming. Thanks for commenting and entering!! Love this idea! 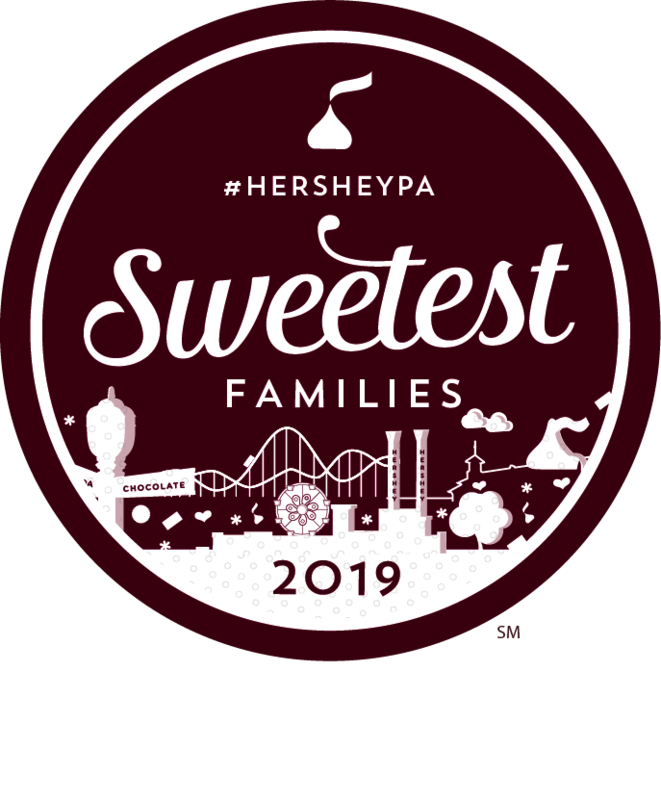 I'm entering to win one for my daughter! I had never heard of kidCash, but it looks so cool! Great idea for the kiddos! It works so wonderfully for us! Thanks for stopping by to check it out, Alyssa! This is so cool! I would love to use this with my oldest. I think it would be a great teaching too. Thanks for sharing it and the giveaway. Thanks for visiting, Shann! I think you'll love it! I've never heard of this before, but it looks fun! It's wonderful! Maybe for someday when your little heirs get older! I saw this over at Stay at Home MomLife! I would have loved this as a kid. My kids are too little just yet, but it looks like so much fun. Hi Tricia! Yes!! That's where I won my kit from! She has a wonderful post about using KidCash with younger kiddos (see link above). Keep it in mind for the future! Thanks for visiting!! This is an interesting incentive program. It looks like the kids really enjoy it! Thanks, Shelah! It's really cool. Definitely works in this house! Thanks for visiting. Totally entered! 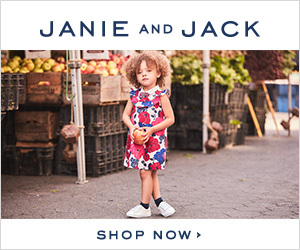 This seems like a super awesome product that I think my little guy could get behind!